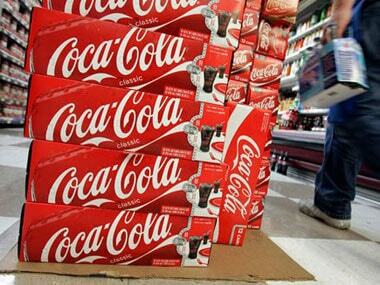 New Delhi: US-based Coca-Cola Co, is in the race to acquire malt-based health drink Horlicks from GlaxoSmithKline (GSK), which has put the popular brand in India on sale, according to media reports. Quoting sources, UK-based Sunday Telegraph has said the value of the transaction could be around three billion British pounds ($3.9 billion). The company "is mulling a three billion British pounds ($3.9 billion) swoop for Horlicks after GlaxoSmithKline (GSK) hoisted a 'for sale' sign above the 145-year-old brand," the report said. It further said that besides Coca-Cola, several global FMCG makers as Nestle, Kraft Heinz are in the race to acquire Horlicks from GSK. "As a matter of policy we do not comment on any speculative news. At this point in time there is nothing to report on the said matter," CocaCola said in an e-mail statement. The Atlanta-based cola major had acquired the Costa Coffee chain from UK-based leisure group Whitbread in a $5 billion deal recently. If the deal happens, then this would be second major acquisition by Coca-Cola in the Indian market, when it had re-entered into the Indian market after buying then popular brands such as Thums Up, Limca and Gold Spot. Horlicks in India is largely sold through GlaxoSmithKline Healthcare, in which GSK owns 72.5 percent stake. GSK has put Horlick on the blocks after it had decided to buy 36.5 percent stake in the consumer healthcare business of Novartis for 9.2 billion British pounds. The company is considering to sell Horlicks and other nutrition brands to fund the acquisition.